We found 1 result for nursing homes in Homer, Alaska. 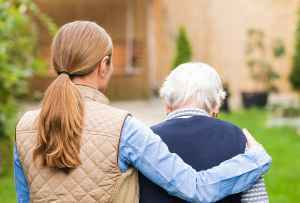 Nursing home care costs in Alaska range from around $515 to $670 daily, with a mean cost running approximately $650. The per month expense averages around $19,500 and ranges between $15,450 and $20,100. On a yearly basis, the median cost is around $237,250, which is over the US average of $77,380. Homer is a small city in Kenai Peninsula Borough in Alaska. While the encompassing metropolitan area includes 553,665 people, there are 9,840 living within the city itself. Those over the age of 55 compose about 30% of the total community. Homer has a below average SeniorScore™ of 55. The median housing price in the city is $370,500, which is more than the state average of $219,000. Homer also has a moderate unemployment rate of approximately 7.41%. The city's median household income is $53,000 ($29,000 per person), versus the average of $48,000 for the state of Alaska. Homer has harsh mean temperatures, with bitterly cold winters and mildly warm summers. The area receives optimal amounts of rain annually. In relation to similarly-sized cities, Homer has a higher than average crime rate. To see information on the SeniorScore™ for Homer, AK, please visit senioradvice.com/seniorscore/senior-living-in-homer-ak.